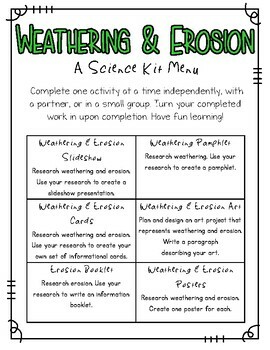 Weathering and Erosion Activity Kit is a fun, interactive way for students to learn, while integrating science and ELA! Make learning without a textbook motivating and exciting for students! 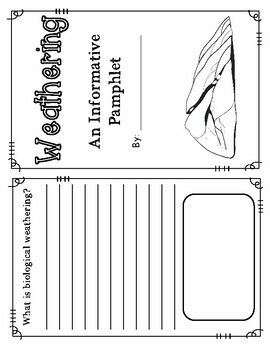 Prep for the kit is easy: print and copy activity sheets and activity direction cards. Place books (from your library), copies, direction cards and any additional materials (art supplies) in a bin or a bag for student access. 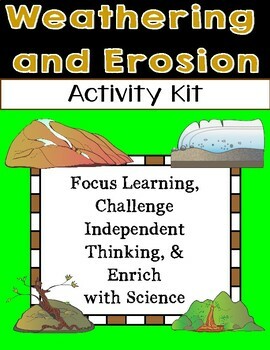 Students can work independently or in small groups for science/ELA enrichment! One kit can last one week, or throughout the duration of your unit, depending on how much time you have. You may also use these projects as extensions for students who want to learn more independently. Each activity can also be implemented as a whole group project. 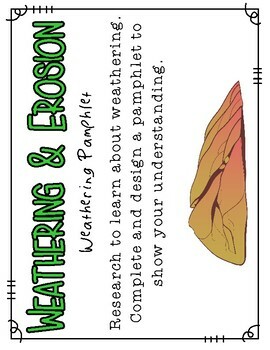 These activities are interactive and will keep students engaged in learning about weathering and erosion!